French is spoken by more than 125 million people in 43 countries around the world. 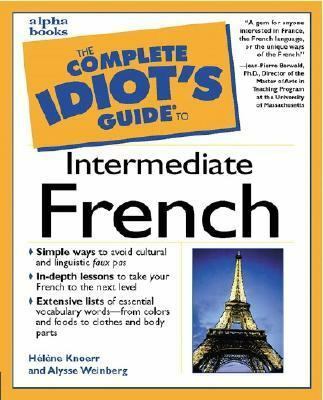 The "Complete Idiot's Guide to Intermediate French" is a perfect basics builder. Readers will learn not only more about speaking, reading, and writing the language, but they will also study various aspects of the French way of life, including food, society, education, culture, money, and politics.Knoerr, Helene is the author of 'Complete Idiot's Guide to Intermediate French' with ISBN 9780028639291 and ISBN 0028639294.